A group of music labels currently taking action against The Pirate Bay in Finland have pulled off something anti-piracy groups in other countries have been dreaming of. Following file-sharing complaints filed earlier this year, a court has now issued orders for the ISPs of three subscribers to disconnect them from the Internet. This week the MPA’s lawyers were in the High Court claiming that Usenet indexing site Newzbin2 costs them millions of pounds due to illegal movie downloads. To this end they want BT to block the site but the ISP is refusing. BT says that by complying it would open the floodgates for hundreds of other site-blocking requests. Now, for the first time this week, Newzbin2′s owners speak out. The administrator of a file-sharing related site has seen his sentence upheld by the Court of Appeal. The man, who was arrested back in 2007, operated a site which didn’t offer links but provided users with hints on keywords which would help them find movies and TV shows. He has received a one year suspended sentence, fined 3,000 euros and ordered to pay 130,000 euros ($185,000) in damages. Earlier this year, member companies of the MPAA filed a lawsuit against the Hotfile file-hosting service and ever since the parties have been back and forth submitting and responding to court papers. Now it seems that the MPAA want Hotfile to hand over just about every piece of data the company holds, from the IP addresses of uploaders and downloaders to the company’s source code. Google has pulled one of the most popular torrent download managers from the Android Market because of policy violations. Before Google booted the application, Transdroid had been available for two years and amassed 400,000 users during that time. Thus far Google hasn’t specified what the exact nature of Transdoid’s violations are, but it’s not unlikely that they relate to copyright infringement. 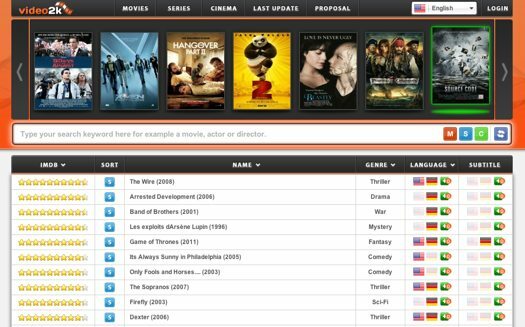 Last year Hollywood’s Motion Picture Association (MPA) went to court seeking an injunction against UK ISP BT in order to force them to block Newzbin2, the resurrected version of the original Newzbin Usenet indexer. This week the MPA are back at the High Court again as they attempt to force BT to use their child abuse filter to block Newzbin2. The uTorrent development team officially released version 3.0 of their popular application today. The milestone release adds many new features including torrent ratings, comments, streaming, and drag-and-drop sharing. One of the main goals is to appeal more to novice BitTorrent users, who often drop out after using uTorrent only once or twice. Two weeks ago raids and arrests in several European countries took out several prominent websites. Aside from the main target, movie streaming links portal Kino.to, the raids also affected several file-hosting sites including Duckload.com. Despite taking a big hit Duckload is not giving up. Instead, the site has respawned with a full-blown movie streaming site that’s already generating millions of page views a day.